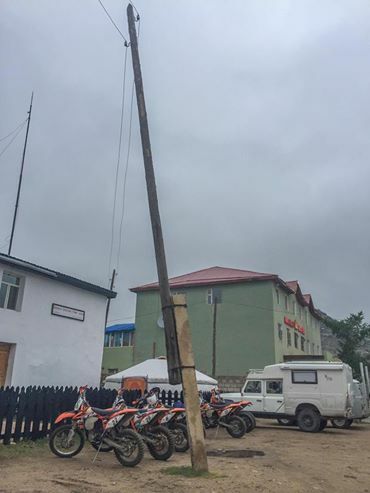 Mongolia has some pretty interesting electricity poles. 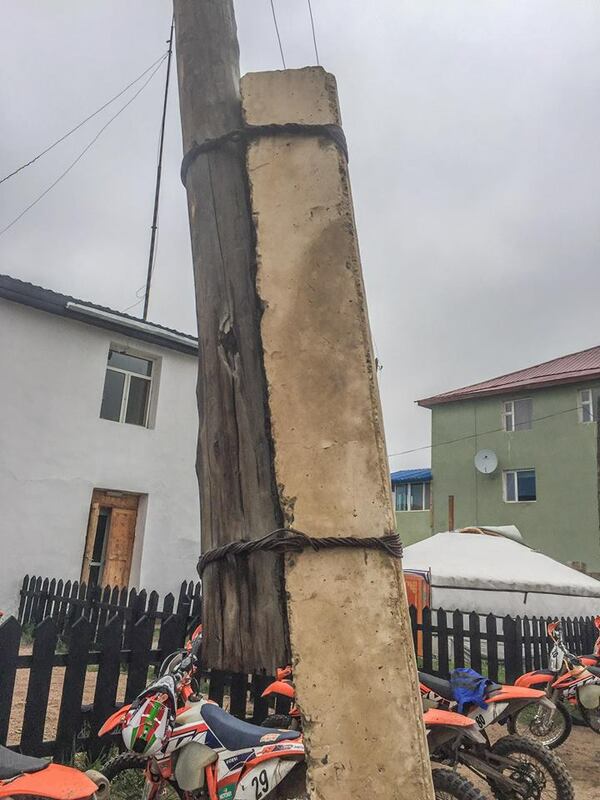 They are a combination of concrete and wood. 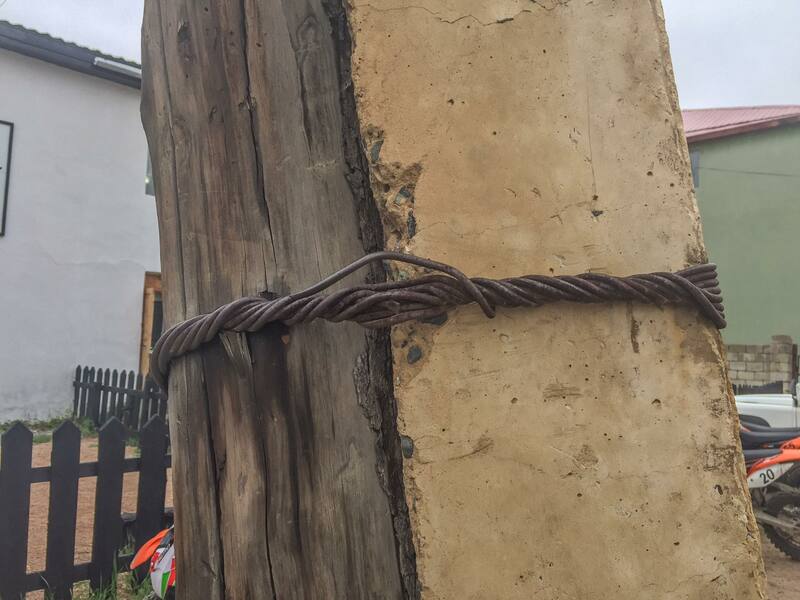 The part that sits in the ground is concrete and a long piece of wood is strapped to it by wrapping a bunch of steel cables around the overlapping concrete and wood section and twisting the crap out of them. This is done in two places. 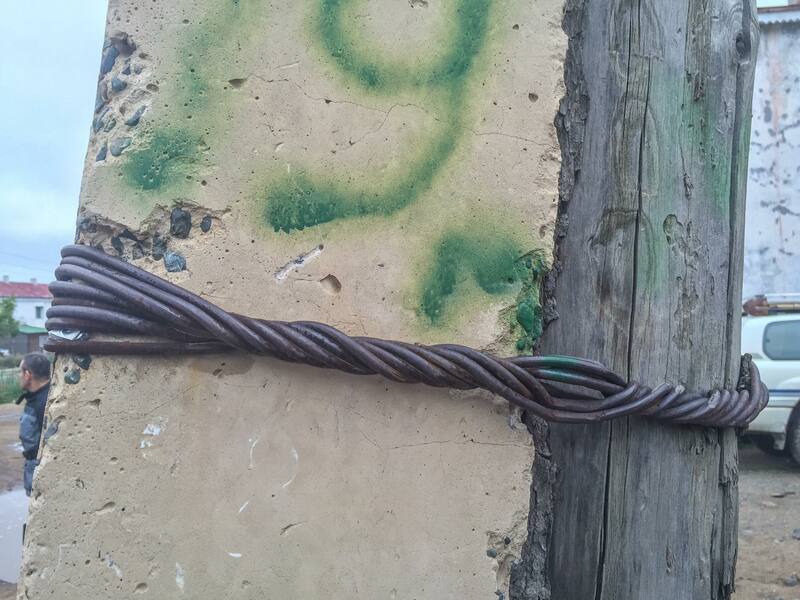 Although the poles look as if they are going to come apart they have been holding up just fine for years now. I’m assuming the reason for doing this is to save on concrete. Wood isn’t going to last long submerged in snow. So I guess they decided to use concrete for the bottom part and use the pine trees from the nearby mountains for the top.